Saaremaa Cup has become a very important youth football tornament in Estonia and other Baltic countries. Year after year the level of the tournament has become better. This year we expect to have about 800 footballers – around 70 teams from Estonia, Latvia, Lithuania, Russia, Belarus and Finland. 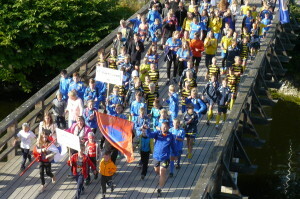 During four days about 200 enthralling football matchs are held on the football fields of Saaremaa.